By now, everyone has probably heard of Casper mattresses and Casper pillows. As someone who obsesses about a good night’s sleep, I was going to have to review the Casper pillow at some point. I’m always on the lookout for pillows that work well with snore guards such as the zQuiet. 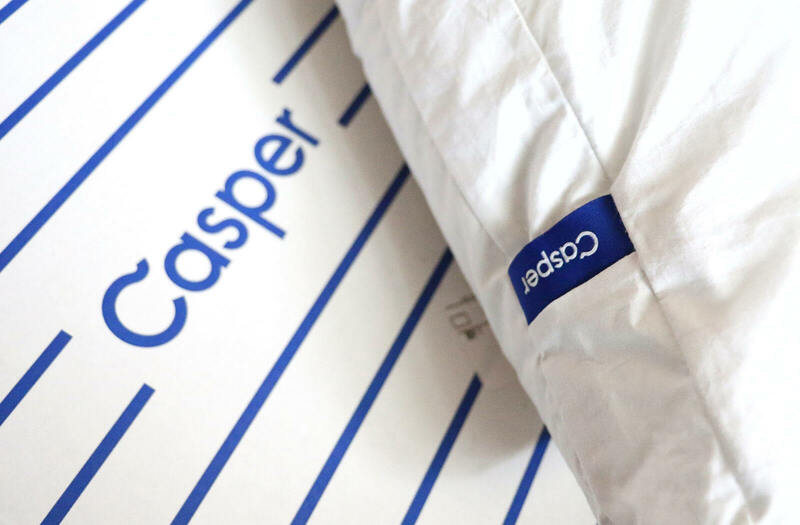 Undoubtedly, Casper has been making the headlines on the back of ultra-slick marketing drives and celebrity endorsements, so much so I felt compelled to check out their renowned pillow and see what the fuss is all about. I’ve reviewed many pillows designed for snoring and a few regular pillows that are great quality so I know a good pillow when I see one. Casper Sleep was founded in 2014 and was officially launched in April 2015, starting off with the production and distribution of a mattress. The founders’ aim was to “invent an industry around sleep.” and they have done so incredibly successfully. Describing the frustration of buying a mattress in a conventional furniture store, Casper Sleep decided to produce just one mattress and distribute it by courier. Within the first month, Casper Sleep turned over $1 million, and the company has been going from strength to strength. Endorsed by a variety of celebrities, Casper Sleep attracted significant investment from a wide range of sources. Slick marketing, a brilliant website, top-quality customer support, and smart advertising have turned this startup into a multi-million business within a very short period of time. Casper Sleep added the Casper Pillow and bedding in 2015, and further expanded the range with a dog mattress in 2016. Having tested sixty different pillows, the designers of the Casper Pillow came up with the “pillow in a pillow” concept, aiming to produce a pillow that is soft and still offers plenty of support for the neck and head. The soft outer pillow gives a snuggly feel, while the inner, firmer pillow offers lasting support. Unlike the Casper mattress, the Casper Pillow is not filled with foam. Instead, the manufacturers describe a one-billion fiber filling. These fibers provide comfort and support, without ever clumping or requiring fluffing. The pillow adjusts to changing positions, delivering continuous support and softness. In our video below, we cut open the pillow and let you see what the fibers look like. A specially designed gusset connects the inner and outer pillows combining into a comfortable pillow that is soft and supporting all at once. As the backbone of the pillow, the gusset strengthens the pillow and keeps it in shape throughout the night. The pillow is also designed to remain cool throughout the night, featuring a 100% cotton cover with a breathable percale weave. The cover is washable. The Casper pillow is only available from the Casper website and retails for around $75. The company offers a 100-night money back guarantee so you can try it and return it if you don’t like it. The ordering process is easy, I knew I could only order it directly from Casper Sleep. Within a short few days, I received a nice looking large box, in fact it’s large enough to fit the pillow without squashing it. When you open the lid, you are greeted with a starry night designs, and, to be honest, I felt like trying the pillow at once. After taking the pillow out of its box, I noticed the zipper along the edge and went on to unzip it, soon realizing that I could remove the inner, more supportive pillow. The outer pillow is soft to the touch, while the inner pillow seems exceedingly bouncy. When you squeeze the inner pillow and then let go, it regains its shape almost immediately. I went on to reinsert the inner pillow and close the zipper. Having handled, squeezed and taken the pillow apart, I was impressed with how it seemed to regain its original shape immediately. That night, I used the Casper for the first time and had a great night’s sleep. Making sure to try out all the different sleeping positions as well as using only the inner pillow for a while, I made sure to test it thoroughly. What I was most impressed with was the lack of lumpiness, there is absolutely no clumping whatsoever. After trying it for three more nights, I found the Casper Pillow too firm and would ultimately consider it more of a support pillow than a comfort pillow. Comfortable: I found the pillow quite comfortable and got a good night’s sleep. Whatever way I moved, the pillow bounced back and retained its perfect shape. No Clumping: There is absolutely no clumping, and you’ll never have to fluff up this pillow because it just regains its shape by itself. Quality and Durability: I could see straight away this pillow is made of good quality materials and will last a long time. Suitable for Everyday Use: I would recommend this pillow for daily use, particularly if you are looking for a pillow that gives plenty of support. Fair Price: You can get the Casper Pillow for between $50 and $75 depending on what discounts are available. Pillows of similar quality often retail above $100. Inner Pillow Potentially Too Firm: Though the manufacturers claim the inner pillow has a liquid feel, I felt it was just a bit too firm and wouldn’t agree with that description. Not as Soft as Down Pillow: Even though the pillow is soft, down pillows are softer and more comfortable. Too Flat: If you like sleeping slightly more horizontally, you will need to roll the Casper Pillow up, just like I had to. There are no curves or arches to help open your airways either. I would recommend this pillow to anyone who is looking for a reasonably priced pillow that offers good support for the head and neck. It is comfortable and soft, however, not as soft as a down feather pillow. The pillow is less suitable for those who like to sleep with their head raised a little more, simply because the Casper Pillow is quite flat. I was impressed with the pillow’s ability to regain its own shape and the complete lack of lumpiness. The materials are obviously designed to last, and it’s great you can simply wash the cover whenever the need arises. Another pillow that retains it’s shape perfectly is the Purple pillow. Weighing in at ten pounds, the Purple stays cold all night long. A great mattress that goes along with the Casper Pillow is the Level Sleep. The 100-day money-back guarantee on the Casper allows you to try this pillow, not just for a few nights, but for over 10 weeks. At that point, you will know whether it suits you and helps you to get a better night’s sleep.